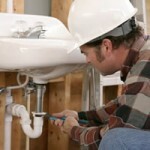 As a small tradesmen business, you have a range of responsibilities and liabilities. You might be facing risks arising from public, product and employers liabilities. You may have plant or tools that are vulnerable to theft or disaster. Perhaps you have temporary employees or contractors working for you and you may typically need to travel extensively to carry out your business activities. In all these areas you might encounter problems that could leave you facing very steep bills – that’s why at Marsh Down Insurance Brokers we have developed our Tradesmen insurance products in order to help you to protect your interests. wide range of trades covered and multiple trades on one policy possible (clerical employees are free of charge). employers, public and product liabilities of up to (£10m and £5m respectively). *As different companies may require different elements of cover, the elements of cover here are variable and optional as required. This is a comprehensive package of protection that may give you the confidence you need when you and your colleagues are progressing your business. Many business people recognise that things can go wrong. Accidents can happen, as can things such as theft etc. Yet it is also important to bear in mind that we live in an increasingly litigious world. Today, your customers and employees may be less inclined to accept the uncertainty of life and in the event of dissatisfaction or accidents, they might look to you for significant recompense and pursue their claims through legal action if need be. That’s why having solid insurance support is important and why our services can help. We are committed to working with you to help you obtain suitable and cost-effective insurance to protect your business and your own financial interests.